​Lopi Cape Cod | Lopi Cape Cod Insert Price, is the most striking flush wood insert on the market. The Cape Cod can deliver lower heating bills and higher efficiency. This unit compliments any home’s style, with a timeless cast iron design and large viewing area. 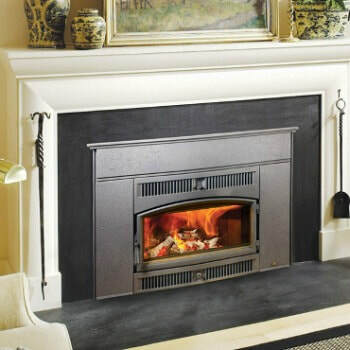 The Cape Cod insert sports a 5-sided convection chamber, 6” seamless flue collar and a masonry fire brick interior. The insert has the highest BTU output of any flush insert available, providing up to 73,000 BTU’s. The heat is disbursed by twin 90 CFM convection fans. An extraordinary heater, this insert can heat up to 2,000 square feet. Enjoy burn times lasting approximately ten hours depending on the wood. This unit is crafted for efficiency and long burn times. Stay warm this year with this efficient and quality insert. If the project is outside of Southwestern Montana please visit the Lopi site for dealers that may be near your area. Bare's Stove and Spa may only sell these products bought and picked up from our store locations. Please understand we are unable to ship, sell, deliver, install, service or provide warranty for items outside of our area.